André Picard’s romance with journalism began as an extracurricular affair. 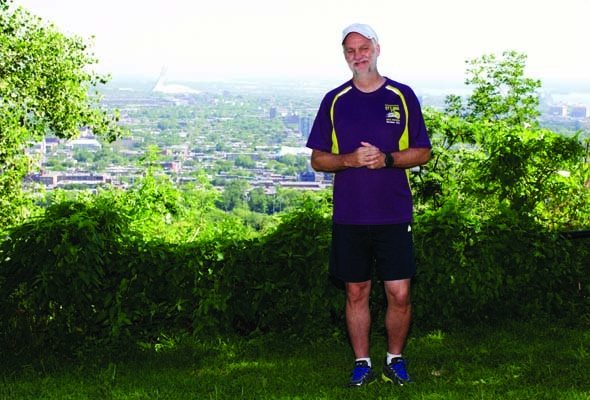 While studying administration in the mid-1980s at the University of Ottawa, he developed a passion for writing as a music reviewer for the student newspaper, The Fulcrum. Instead of becoming an accountant or business executive, Picard earned a second degree in journalism. As a top graduating student at Carleton University, he was snapped up by The Globe and Mail, where he has worked for more than a quarter-century. Posted to the Montreal bureau, he shifted from political to health reporting with a national focus and in the process acquired an international reputation for excellence. Picard is not satisfied with merely factual and in-depth reporting and analysis. Those who worked alongside him got to know a colleague/competitor who would not make do with “he-said-she-said” journalism, a slice of colour and some background. His work as one of North America’s top health journalists reflects his personality: Behind the placid exterior lies an inquisitive, perceptive and industrious scribe for whom the work only begins with the official story. Passion and commitment are what drove Picard to write the first of several books, such as The Gift of Death: Confronting Canada’s Tainted Blood Tragedy (Harper & Collins, 1995), where he pieced together the story behind the 1980s scandal. More than 1,200 people had contracted AIDS from tainted blood in what is said to have been the worst health-care disaster in Canadian history, much of it centred in Montreal. “That was a sprawling story. I wrote about it for many years, so I thought it needed to be brought together in one coherent story,” Picard said in an interview. Juggling his day job, a busy public speaking schedule, and family life—he is married to Gazette reporter Michelle Lalonde and they have two teenage daughters—Picard followed up with a 118-page study of The New Face of Charity in Canada for the Atkinson Foundation and Critical Care: Canadian Nurses Speak for Change (HarperCollins, 2000). Picard’s latest is a comprehensive review of the history, strength and weaknesses of health care in Canada, written for the Conference Board of Canada. We can be “a little smarter and get more bang for the buck” by spending more on prevention, he observes. Improvements in education, child care and housing have a major impact on human health and he agrees Quebec has been “a little smarter” with such programs as pharma-care, free dental care for children up to age 10, and $7-a-day child care. With the increasing cost of publicly funded health care and a steadily aging society, Picard expects private and insurance-funded care will have a greater role. “The objections we have toward private care are way too dogmatic. Every country that has universal health care has a mixture of private and public care. “The discussion we should have is what’s the right mix, where is it most appropriate? About 23.2 million Canadians have private health insurance, covering drugs, various diagnostic services, and supplementary health care such as private rooms. Picard’s leitmotif for private care: “We should turn to the private sector if the services provided are of equal quality (private and public institutions need the same rules and regulations), if they are the same price or cheaper, if they are faster, and if the public option has been exhausted. Public awareness and pressure can be effective, as it was in 2004 when Ottawa pumped in an additional $5.5 billion to reduce wait times for cancer and heart surgeries, hip and knee replacement, and cataract operations. Picard says that on any given day, 7,500 patients are in Canadian hospitals, at a total cost in one year of $4 billion. Half of them could be at home if proper home care were available, at one-third the cost. “I don’t think their interpretation of the constitution—responsibility for health care is shared with the provinces—is correct. It’s convenient for their beliefs, but I think Canadians expect more than that. The Path to Health Care Reform: Policy and Politics may be downloaded from elibrary.ca, or ordered by mail for $20 from the Conference Board, 255 Smyth Rd., Ottawa, Ont., K1H 8M7. 1-866-711-2262.